This years team will be a young and exciting team. Returning are 3 juniors from last years 24-6 final 8 team. They are 6'3" Edwin Chatman, 6'4" Jack Webster and 6'5" Jibril Ndiaye. Add 4 outstanding newcomers and this years team is up and running. 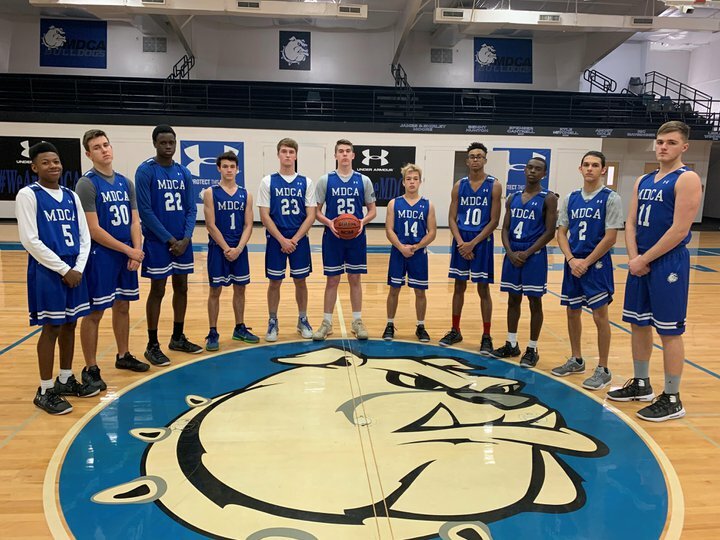 Rodney Bryant, Jace Spinelli, Dominck Scoleri and Dylan Van Note join the Bulldogs this year. Coach Steven Hayes team promises to push the ball up the floor and pressure the basketball. Look for MDCA to make another run for a district title and have a very successful season.